RIYADH, Saudi Arabia – July 3, 2018 – Homoola today announced the formal launch of its digital load-matching service in Saudi Arabia, where it will bring new efficiency to road freight by using technology to pair shippers and trucking companies. Homoola’s load-matching technology addresses the pain points felt by both shippers and carriers. It gives shippers access to capacity at times of peak demand and allows them to optimize the efficiency of their shipments at other times. Homoola prevents carriers from driving empty miles or sitting idle waiting for cargo. Agility is a key investor in Homoola. 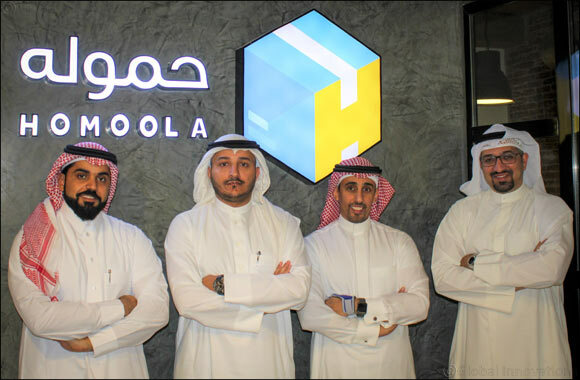 Homoola has been operating in Saudi Arabia since January. Its platform gives trucking companies, including smaller carriers, access to a larger pool of customers and allows them to make more efficient use of their fleets. Shippers can select from among multiple trucking options that meet their standards for quality and consistency. The development of Homoola is consistent with Saudi Arabia’s Vision 2030 economic objectives. Among the goals outlined as part of Vision 2030, the Saudi government seeks to diversify the economy, grow the private sector, create new jobs, improve its competitiveness, become a logistics leader, increase non-oil exports, and draw foreign investment. “Homoola allows logistics and trade to be conducted more efficiently and effectively – in keeping with the Kingdom’s 2030 vision,” Al Homaid said. Agility Ventures, the corporate venture arm of global logistics giant Agility, is a key investor in Homoola and has worked closely with the Homoola team on the platform’s development and operational launch. Agility Ventures partners with promising startups that are championing technologies that can help build faster, more secure and more sustainable supply chains. Agility Ventures has invested in digital start-ups that bring new efficiency to e-commerce fulfillment and last-mile delivery for businesses and consumers.